As we exit peak season 2018, retail’s vital signs look good: a MasterCard study found sales were up 5.1 percent to more than $850 billion, the best holiday shopping season in six years, and online sales were up 19.1 percent. Typically, UPS “celebrates” National Returns Day shortly after the new year. But for the first time ever, the logistics company announced it expected returns to peak in December, at 1.5 million packages returned Dec. 19 – compared to 1.3 million on Jan. 3. UPS attributed the shift to better online deals earlier in the season, as well as retailers offering simpler returns processes. As the holiday shopping season creeps earlier each year, expect what was an abnormality in 2018 to become commonplace in 2019 and beyond. This presents a unique challenge for fulfillment; what were once two clear cut phases of peak season are blurring. As warehouses rush last minute orders, they’ll have to dedicate more of their efforts to reverse logistics. Warehouses will need to employ extra temporary labor, adopt technology that brings efficiency to each process or invest in both to meet rising expectations. Subscription services picked up steam in 2018 – even for warehouses themselves. During peak season, retail giants such as Wal-Mart turned to on-demand warehousing, renting out fully-staffed space in areas closer to customers without purchasing warehouse space they won’t need come January. On-demand warehousing will only continue to grow as retailers look for short-term solutions to Nov.-Dec. eCommerce demand. For retailers whose peak season arrives in spring or summer, offering space to another business can be lucrative. But both landlord and tenants must establish ground rules before entering the partnership. For instance, can the landlord’s preferred warehouse management system adapt to the tenant’s requests? 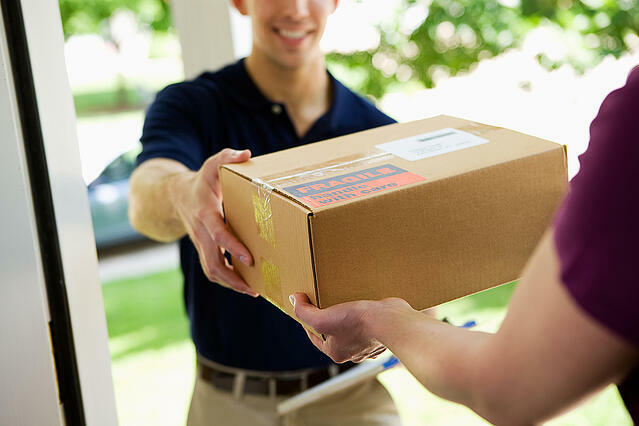 And can the landlord meet your preferred shipping schedule? 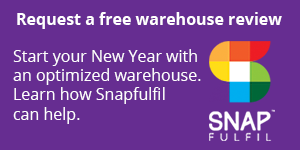 If you’d like to lease your extra space, consider investing in flexible warehouse management technology that can manage different fulfillment rules and ensure smooth pick, pack and ship processes for your tenant’s goods. It was a banner year for the major three carriers. UPS, FedEx and USPS all improved their on-time delivery rates; UPS had the most significant increase, from 95.3 percent in 2017 to 98.5 percent in 2018. The three averaged a 98.3 percent on-time delivery rate, a significant achievement in an economy where eCommerce deliveries are only growing. These numbers reflect well on the fulfillment industry’s ability to process orders through the warehouse quickly – but as more retailers rise to the occasion, those who run behind will need to adjust their processes or risk losing customers. If your operations consistently lag, even by half a day, spend time observing your picking, packing and replenishment operations. Then, investigate technology that increases data visibility, allowing you to diagnose your problem and power more efficient fulfillment. Warehouse managers know peak season planning is never truly over. As you enter spring and early summer, you’ll begin researching solutions to your new challenges. But don’t forget to examine the data you gathered in November and December – both from your processes and your sales. Let the numbers guide your decision-making now, so that come next peak season, you’ll be ready to wow customers once again.